Broadway's newest production of THE KING AND I began in Australia more than five years ago; Theodore S. Chapin, President and Executive Director of The Rodgers & Hammerstein Organization, recalls the journey from Down Under to the Great White Way. It started with a very long distance phone call. The voice on the other end was Mary Rodgers, in Sydney, Australia. It was early morning for me, middle of the night for her. She had just seen Chris Renshaw's production of THE KING AND I starring Hayley Mills and had one directive for me: I was going to come and see it. It was the best KING AND I she had ever seen, "and I," she reminded me, "saw the original." So on New Year's Eve 1992, I ventured to Melbourne. 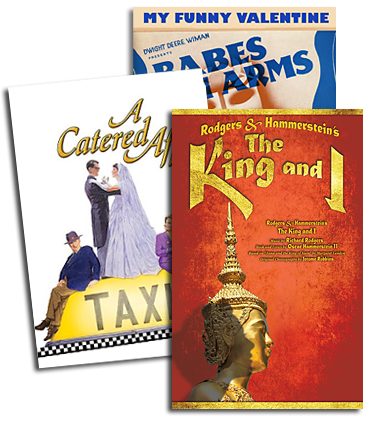 We license hundreds of productions of THE KING AND I around the world every year, and this one had seemed to start off like any other; despite Mary's enthusiasm, I didn't really know what to expect. What I found was a welcome surprise: a production that had been mounted with a great deal of imagination, some very bold ideas, and filled with promise. The producer, John Frost, director Renshaw and the designers were clearly curious about my reaction. "Well, actually," I said, "I think this is good enough for Broadway." The look on their collective faces, if memory serves, was somewhere between joy, shock, and bewilderment. No one had thought of Broadway (or probably, if truth be told, had even dared think about Broadway), when they started planning their production. But I knew they were on to something special. After several days of warm hospitality and delicious red wine, I was back on an airplane, armed with photographs of the production and a lot of enthusiasm. Now the fun began. In my position I'm supposed to, as Theatre Week once wrote, "say 'yes' or 'no' to your tacky revival." I'm not necessarily supposed to be the matchmaker, but this time I wanted to try. Off I went, into the Broadway community to find the right producers who would hear me out. Enter Michael David and the Dodgers. They got it. They are among the top Broadway producers today, and have the vision to take good ideas and make them better, as they have with their recent Broadway successes. We talked. We talked about authenticity, about assembling a cast that would give the show a reason to be seen in this town again, about having two stars who were right for 1996. 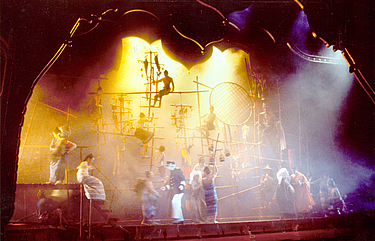 Around the time these conversations began, the Royal National Theatre premiered its production of CAROUSEL in London. An acknowledged revelation, it helped open the collective eyes of the U.K./U.S. theatre community to what was possible with first-rate theatre talents taking an imaginative and fresh look at Rodgers & Hammerstein. A year later Hal Prince's inspired version of SHOW BOAT opened in Toronto and, as both these productions arrived in New York, Broadway seemed more receptive than ever. So, on April 11 of this year, just over four years after my trip to Melbourne, THE KING AND I opened on Broadway. I was proud and thrilled. It was everything I had hoped it would be- exciting, daring, passionate, beautiful, emotional, musical and provocative. The New Yorker called it "magnificent," and said, "Hats off to everyone who had a hand in this production." But I still keep getting the question: "Australia?" My answer: That's where a group of talented people got together with enough vision and imagination to provide the impetus for a new Broadway production of an R&H classic. Simple as that. And of all the praise this production has received, the point I hear repeatedly from critics and colleagues alike is that they thought they knew THE KING AND I, thought they had seen THE KING AND I, and didn't think they needed to see it again- but wow, they realized, they were wrong. Was it worth a trip to the other end of the world? Absolutely, and I'm proud to have been the matchmaker.